To avoid measuring the temperature inside the housing, we decided to use an external climate sensor. 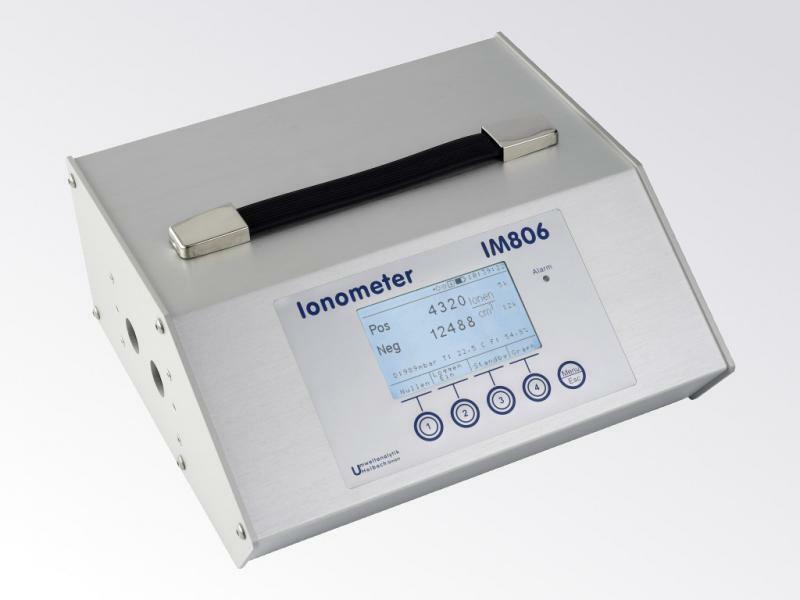 For BiVOC2V2, MBASS30V3 and the Ionometer IM806V2 we optionally offer the climate sensor Hygroclip HC2A-S by rotronic. 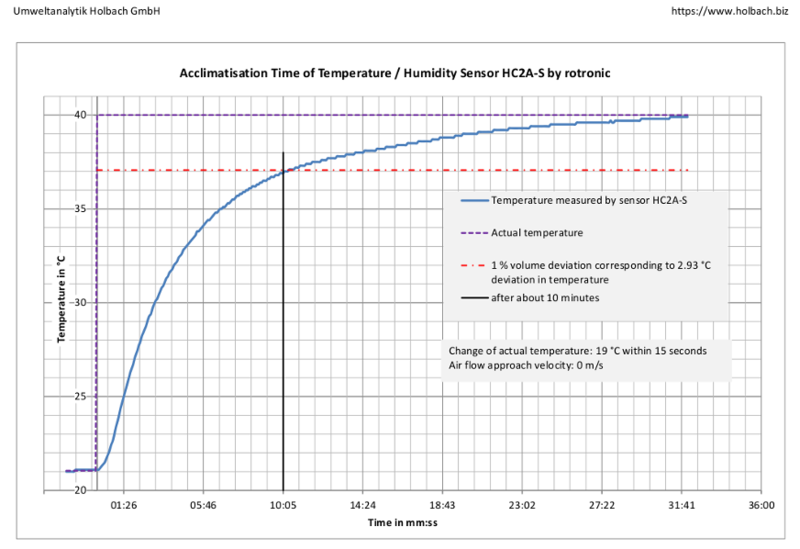 The measurements of the climate sensor HC2A-S are transferred digitally to the devices. 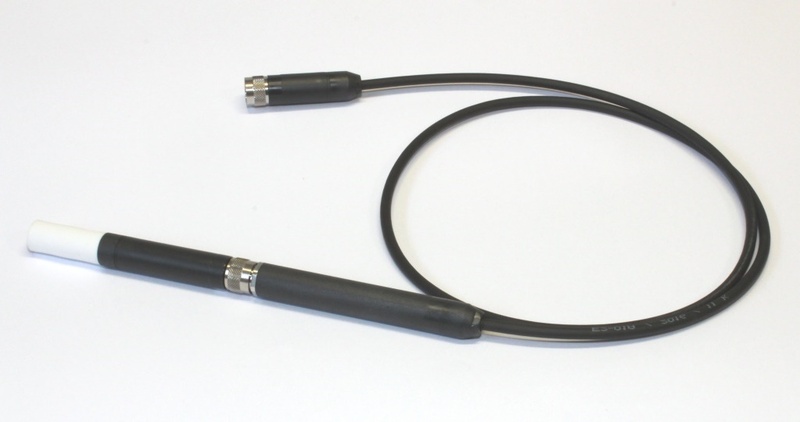 Optionally, we can deliver an extension cable of 1 m length to position the sensor away from the device. 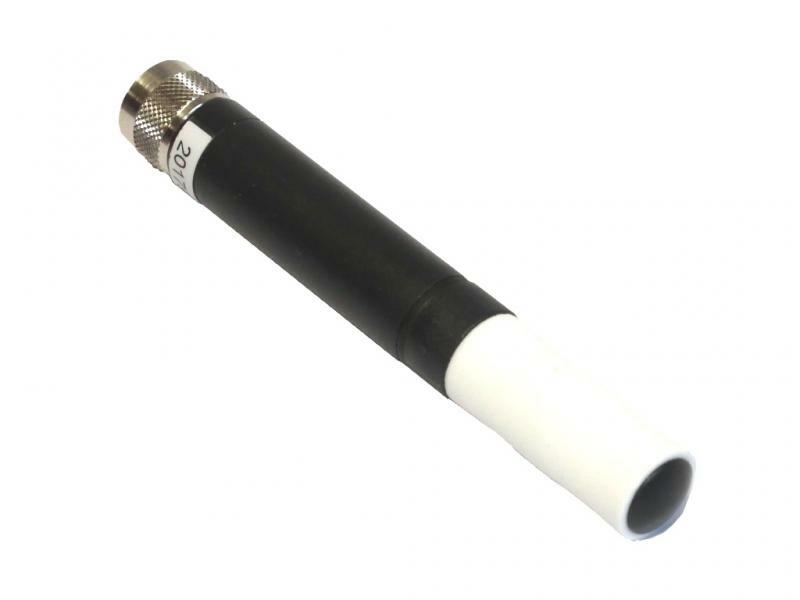 However, it is not required for the operation of the climate sensor HC2A-S.
After a sudden change in temperature, the climate sensor HC2A-S needs, as every other climate sensor, some time until it reads the real ambient temperature. We have conducted a test with a sudden change in temperature of 19 °C. Such changes are quite possible when the sensor is transported in a cold trunk and then brought into the heated apartment where the sampling should take place. It took about 30 minutes until the probe read the real ambient temperature. 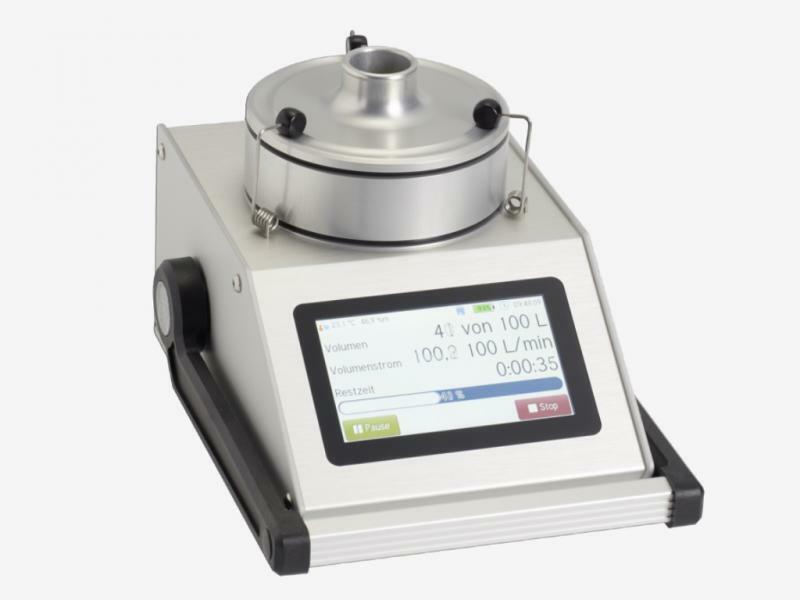 After 10 minutes, the deviation from the real temperature was already below 3 °C, which corresponds to an error of about 1 % when converting to volumetric liters. Note: Exposing the sensor to air flow can increase the acclimatisation rate. To determine the maximum acclimatisation time, the test has been conducted without air flow. 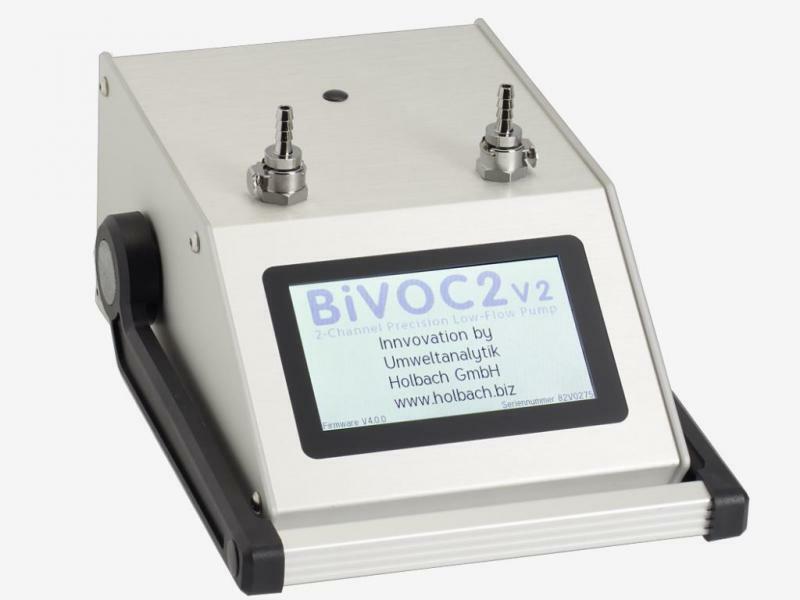 Note: The extension cable is not required for operation of the climate sensor HC2A-S with the 2-channel sampling pump BiVOC2V2, MBASS30V3 or the ionometer IM806V2. 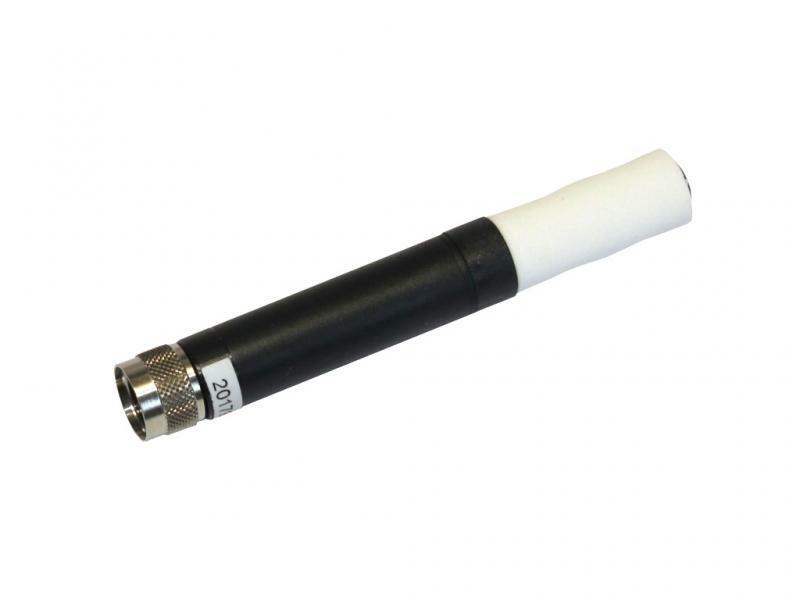 The climate sensor HC2A-S can be directly attached to the devices.